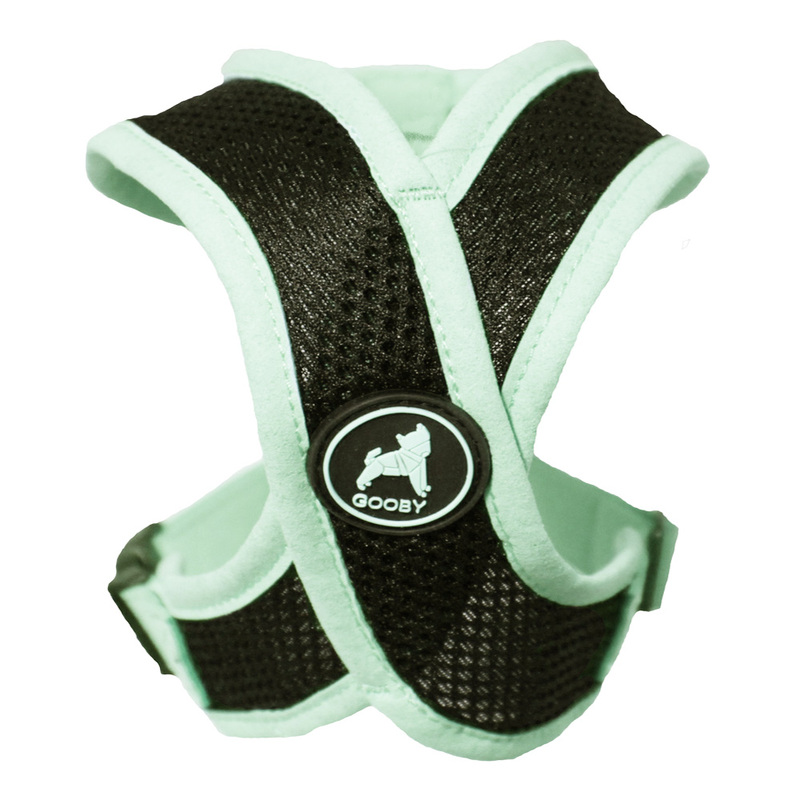 Have your active pup looking and feeling their best in the Active X Dog Harness by Gooby in Mint Green! The Sporty X design creates a wider opening for the neck to eliminate choking. 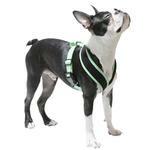 With this no-choke comfort harness, all pulling pressure goes to the chest. The soft faux lambskin trim is ideal for sensitive-skin dogs. Gooby emblem at the X interception. 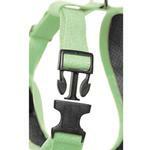 Quick release buckle makes it easy to put this head-in harness on and off. 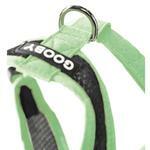 Active X Dog Harness by Gooby has a Metal D-Ring for leash and Size adjuster for added safety. Machine washable. 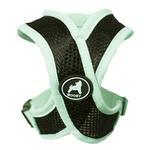 Active X Dog Harness by Gooby - Mint Green Customer Photos - Send us your photo! A new addition to our Boston Terrier family. We now have three girls ages 8, 4, and 2. They all have a Gooby Harness. They love their harnesses! Posted On 01/09/17 by Annette K from , WA Yes, Annette K recommends this product! Posted On 08/01/16 by Becky G from Merkel, TX Yes, Becky G recommends this product! This harness fits my little pom really well. It's perfect for hot summer days, and there's no choking when she pulls on her leash. Also, no velcro to get her long hair stuck in! Posted On 11/30/15 by Maryann E from Boynton Beach, FL Yes, Maryann E recommends this product! Really looks cute on my 8lb Yorkie .... and it fits great. Can't wait to walk him in it but in xmas stocking for now! Posted On 05/25/15 by Cherie Y from , CO Yes, Cherie Y recommends this product! We have two Boston Terriers and the store harnesses never fit their shoulders or necks properly. We found Gooby harnesses from a recommendation online - and we love them for our BT breed! They fit very well and offer the perfect amount of restraint and support without the fear of them slipping out of the harness. I highly recommend this product!! We did receive the incorrect color on one order, but it's just a harness. Shipping is amazingly fast from this site!